The E-Soft Hotel Management System provide total solution for hospitality industry. 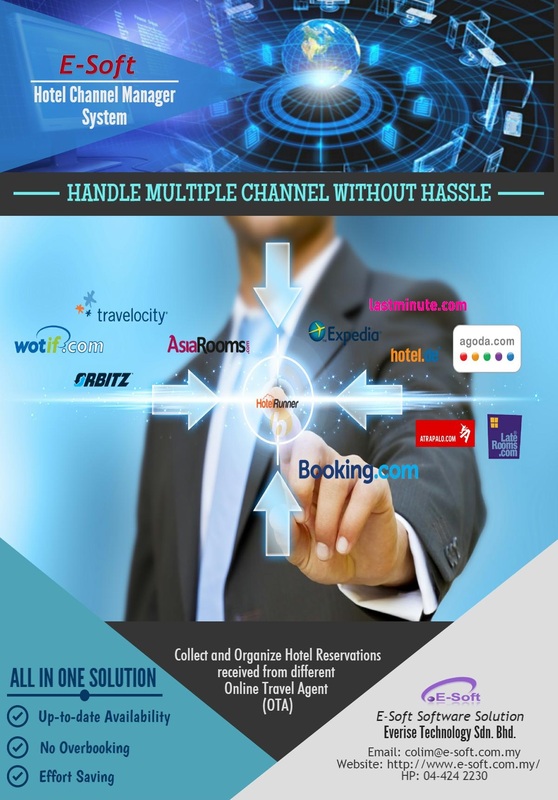 E-Soft Hotel Management System is a user-friendly, uncluttered and compact Hotel Management Software that automates the operation and management of a hotel. 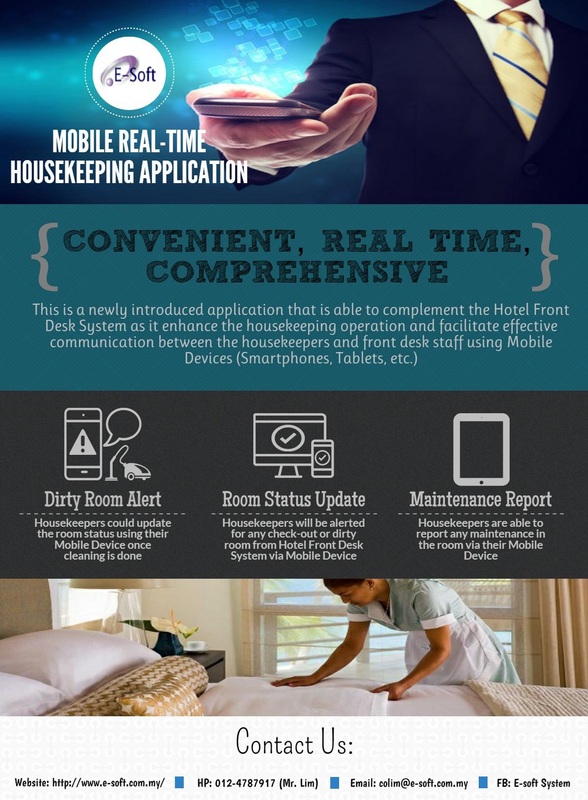 It seamlessly integrates Reservations, Front Desk, Housekeeping functions on a single platform. An extensive variety of management reports can be generated from the system. E-Soft F&B POS System is definitely affordable enough for any small restaurant operators who are enthusiastic in running their F&B outlet efficiency and effectively. E-Soft Call Billing System is one of the most widely-used call billing systems in the hotel industry, due to its innovative features, easy-to-use Windows interface and unparalleled tools for reporting, billing and managing administrative from guest phone calls. 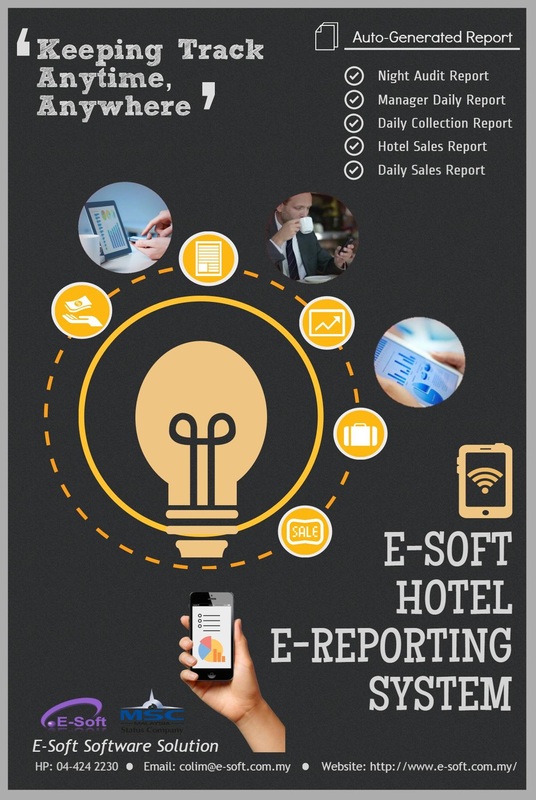 If you use E-Soft Hotel Management System, the Call Accounting Software will automatically charge the guest's calls to the hotel room before the guest check out. The Hotel Online Reservation System are designed to enables internet guest to check room availability, confirm the rooms in "real-time" and proceed with payment immediately without having to bother with time-consuming emails and faxes between guests and your reservation staff. Saves valuable time, and cuts costs - Availability checks and instant confirmations eliminate email exchanges between guests and your reservations department. Valuable reservations staff time is saved because reservation requests will no longer have to be processed. Guests can check availability and book instantly, thus closing a booking without having to wait for your reservations staff to confirm a room by email. The rates, availability etc on your website are real-time - The reservation system will directly point to your hotel server. Reliability and efficiency - Guests find the Internet reservations system easy-to-follow, with uncluttered screens and prompts. 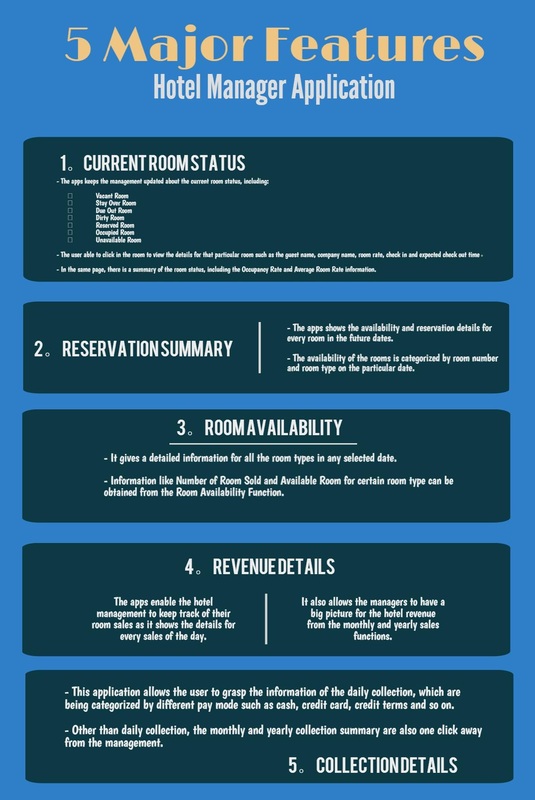 Reservations & payment details will be updated directly to E-Soft Hotel Management System. No third party involvement - No third party involve in taking order online except payment gateway provider which help you to accept Credit Card payment. Stay ahead of your competitors - With the growing trend towards Internet-based hotel bookings across the industry, online hotel bookings from websites are increasing dramatically. The Hotel Online Reservation System ensures that you are at the forefront of this industry bookings trend. Link from your existing website. Instantly check room rate & room availability by guests. Online room reservation page by guest. Payment Processing by Payment Gateway Provider. 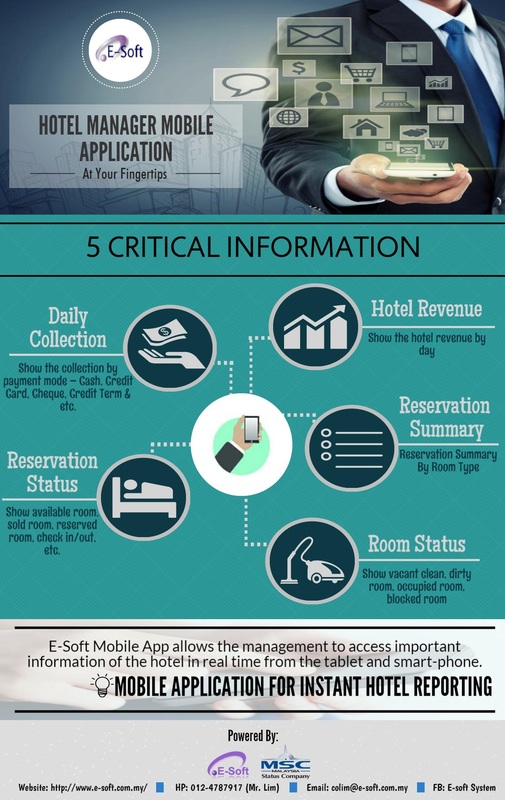 Update E-Soft Hotel Management System for successful reservation.